Geographic Nationalism charts the role of the American Civil War in transforming the U.S. spatial imaginary through literature, art, and into the present day. In both Northern and Southern texts, it finds that the war generated an existential, yet often generative, instability through which the idea of the nation and its space could be reformed. Following from Emily Dickinson’s assertion that “war feels to me an oblique place,” Geographic Nationalism demonstrates that the experience of place was altered in response to the war to emphasize sensory and affective responses that did not require “being there.” Analyzing both familiar and understudied texts by Dickinson, Herman Melville, Charles Chesnutt, Henry James, and Natasha Trethewey, among others, I argue that the war generated sites of spatial negotiation. These spaces, which ranged from the cemeteries of Melville’s Battle-Pieces to the neighborhood of a ruined plantation in Chesnutt’s conjure stories, retained a contingent status from a time when the nation’s fate was undecided. Thus, these spaces and the texts that explore them allowed for the imaginative restructuring of national hierarchies including race, gender, and time. While revising Geographic Nationalism for publication, I am also developing a second project that builds on the questions about literature and emplaced experience raised in my dissertation. Titled Corporeal Poetics, this project explores the productive tension between the lyric poem—which is generically placeless—and the poem’s inescapable materiality in early American verse. I argue that this tension is mediated through representations of the body, tracing an awareness of the material text throughout poems by Phillis Wheatley, Lucretia Davidson, George Moses Horton, and Walt Whitman, among others. For instance, one already drafted chapter shows how an 1838 volume binding the poetry of Wheatley and Horton consciously reenacts the violence of bound bodies perpetuated by slavery, arguing that the material history of African American poetry forecloses the possibility of lyric experimentation in genre and voice. Combining genre theory and book history, this project reads the presence of raced, gendered, and sick bodies in nineteenth-century verse to reveal how corporeality emerges as a discourse that must be revised or suppressed as diverse genres coalesced into the modern lyric. 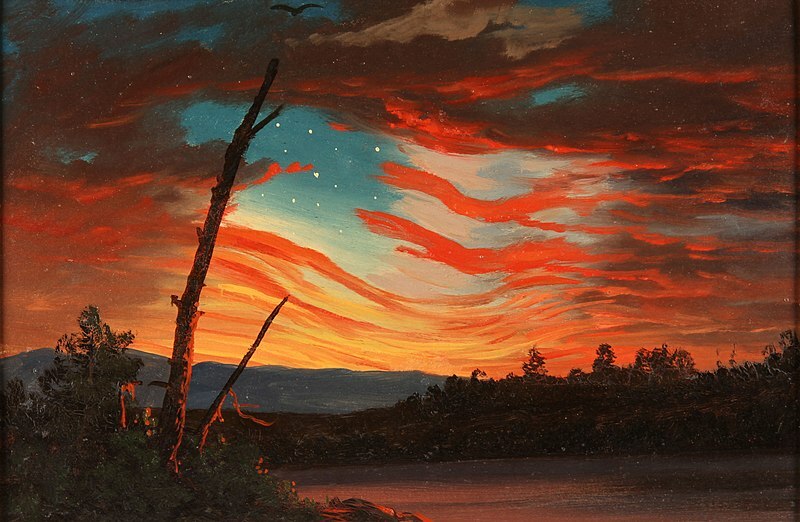 Image 1: Frederic Church, Our Banner in the Sky, 1861. Image 2: Phillis Wheatley, as illustrated by Scipio Moorhead in the Frontispiece to her book Poems on Various Subjects, 1773.